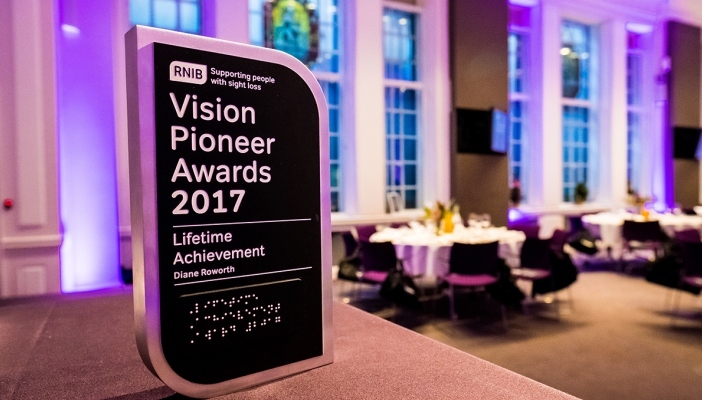 The winners of this year’s RNIB Vision Pioneer Awards were announced at a prestigious ceremony in central London on Tuesday 12 December. 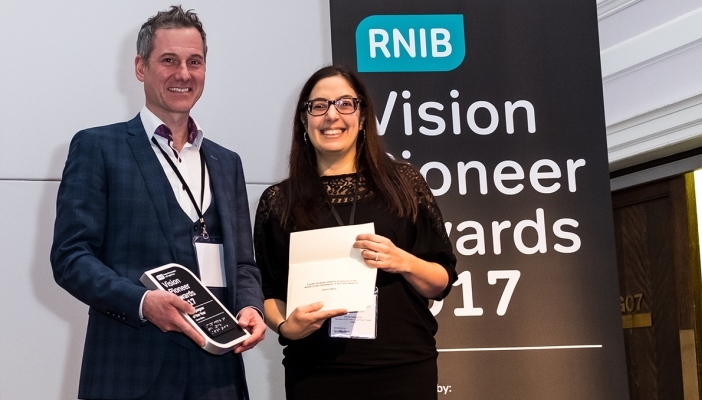 The awards were set up two years ago to celebrate good practice within the sight loss and eye health sector, and honour the achievements of professionals committed to supporting blind and partially sighted people. 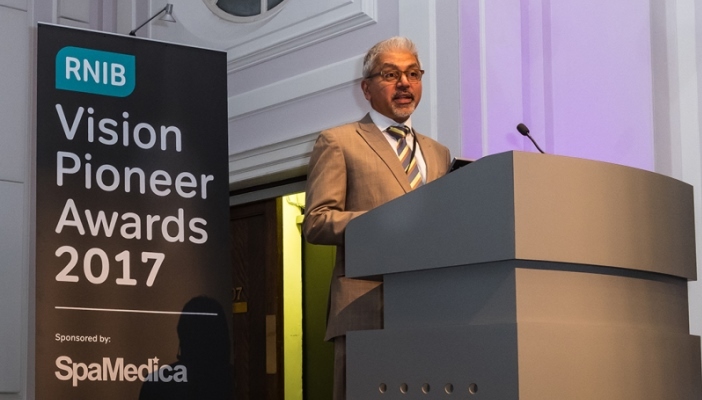 Anil Pitalia, CEO of the event sponsor SpaMedica, said: “We are delighted to support RNIB’s fantastic awards, which recognise the dedication of passionate individuals and teams that play such an important part in improving the lives of many people. 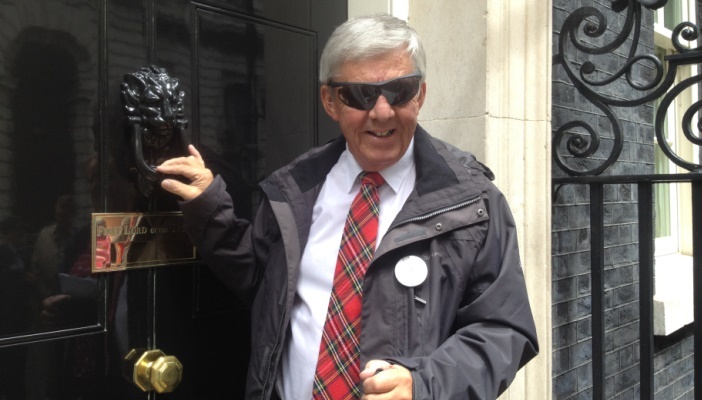 We’d like to congratulate all of the winners and the runners-up – they are all winners in our book."